First of all, you should know the most obvious fact that Russia is ridiculously huge! There are millions of people, be it the citizens, the visitors, and even the non-registered residents. Now, try to see things realistically, the closer you are to the center of the city, the more dense traffic becomes. To make it worse, the city government only recently started to manage parking in the city by introducing paid parking in the center. Before it was applied to, you could park wherever you find a spot of land big enough to park your car. However, even when the rule is starting to get regulated with fines and evacuation of cars, there are still rebels that violate the rule. Can you picture how the traffic situation in Russia looks like yet? Well, here are 6 facts of traffic situation in Russia you must know. Have you ever been trapped in true traffic jam? If you have not yet, then try to visit Russia’s capital city and drive on its lane. Only then you will know how it feels to spend many hours in the car, move at a snail’s pace, and face people angrily honking their horns. It is like driving to hell. In Moscow, Russia, there was once a famous 125-mile traffic jam that went on for three days straight after a major highway that spread between Moscow and St. Petersburg was buried due to snowstorm. It dated back to November 2012. Try to look it up. Apparently there was one construction of highway called M9 highway that connects Moscow and Riga in the summer of 2012. It was put under repair. The repairmen removed a layer of asphalt and somehow failed to replace it until the next season. As a consequence, the drivers had to be stuck in a traffic jam that lied a few hundred kilometers from Moscow. They were all stuck in the dirt. In addition to that, a 4-kilometer segment of the highway, which supposedly underwent a major overhaul just a few years ago, decayed so badly to the point that major reconstruction was highly needed. The case became even worst when the police decided to issue an unspecified administrative fine to the companies responsible for building the highway. As told in the beginning of this article, drivers could initially park wherever they find a spot of land big enough to park their cars. However, it was the past. Today, Russian government has established major car parks; much of the on-street parking in some big cities is paid for using meters. Around Russia, there are varying parking systems, depending on the size of the city. For example, when parking in Moscow, you will have to park your car on the right-hand side of the road/in the direction of the flow of traffic. Meanwhile, in some urban areas and on one-way streets, you can park your car on the left-hand side. Also, to point out something important, the letter P with a wheelchair symbol is usually used to signify a disabled parking space. Streets and roads in Russia are very muddy. In most cases, the streets and roads even disappear from plain sight, only to be replaced by vast torrents of brown mud peppered with the occasional ice drift. If you think it only happens in the countryside which remains largely undeveloped, no, you are wrong. It also happens in the very center of Moscow, too. It is hard even just to walk especially early spring, because the winter’s snow that turns to rain usually gathers in their impossibly large crevasses, and then turns into veritable dirt pools. Other than muddy road, there is also icy road called Oymyakon road. The surface of the road is made of gravel, with big potholes. It is covered in snow nine months per year. If you see the remnants of blizzards and inclement conditions on the Oymyakon road, do not be surprised. It is only natural, because it is located in the coldest village on Earth. My advice is to never drive the Oymyakon road alone, or simply not drive at all, because your cars would be hard to start with frozen axle grease and fuel tanks. Road signs in Russian are very few and far between. Sometimes, they are covered in snow that they can barely be seen. Other times, they are just damaged beyond repair. So, if an accident ever occurs, it is not entirely because of driver’s lack of adherence to the road signs. Those signs are easily overlooked. Such tiny occurrence, however, could be happened every day and cause serious injuries. In some cases, especially in recent years, there have been more road signs appearing on main roads. But, it is difficult to read them until drivers are virtually on the exit lane. If Russia wants to attract more tourists, then it will need to make vast improvements to compete with other countries. What makes traffic in Russia so threatening is the careless truck drivers. They often violate driving rules, particularly in the summer, and then cause accidents in the winter. You can easily spot truck drivers with their trailers racing along at over 100 kilometers per hour, casually passing each other, and even small cars. Even worse than that, it becomes all the more frightening, because the road is covered with snow and ice. 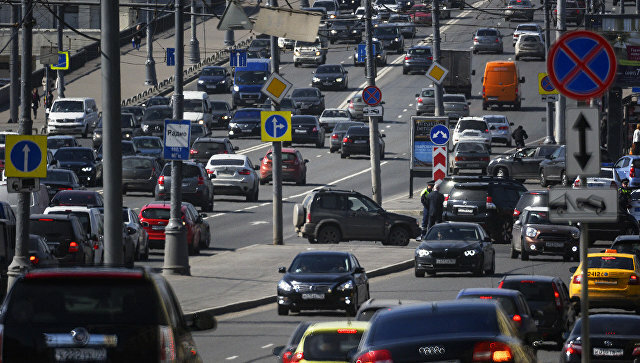 Even though Russia is a fast-improving country, it seems like the roads along with the regulations are not specifically designed for human comfort or safety. So, for those who have a plan to drive around Russia, I hope you know what you sign up for. Actually, all you need to do is take extra care, even if the main roads look better than elsewhere in Russia.